Daily prayer recalls to all military and civilian leaders that, as John Adams said, “Our Constitution was made only for a moral and religious people. It is wholly inadequate to the government of any other.” This is not the time to leave the field to “domestic enemies” who would have the temerity to urge Congress to force our soldiers to fight “without a prayer.” Leader-led military unit prayer remains an unbroken historic military necessity throughout American history and continues as essential to combat effectiveness and training of future military leaders for the 21st century. 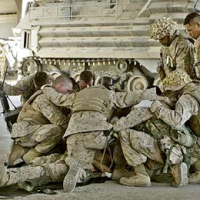 Find out more about prayer in America’s Armed Forces in the book, “Endowed by Their Creator”: A Collection of Historic American Military Prayers 1774-Present.